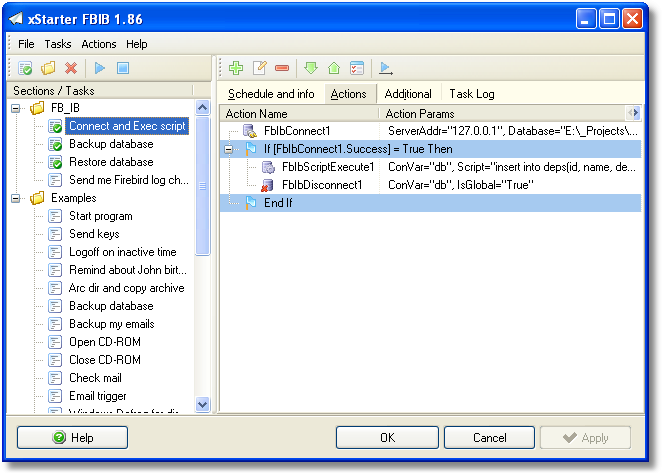 Although database servers do not always provide built-in task schedulers, it is often necessary to plan script execution at specified times. It is important to regularly undertake a range of actions on a database such as rebuilding indexes, creating backup copies and restoring data from these copies. xStarter Job Scheduler for Firebird/Interbase is the very solution that enables you to overcome such server problems. The majority of actions are performed through API Services so it is possible to manage tasks via a remote computer. The software has a host of tools to solve your everyday tasks. 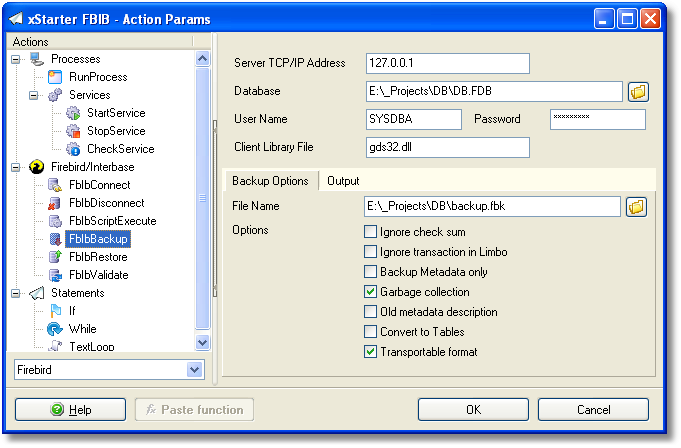 These tools assist you in organizing and sending notification messages regarding performed tasks (or queued and unperformed tasks), creating backup copies, and many other functions.